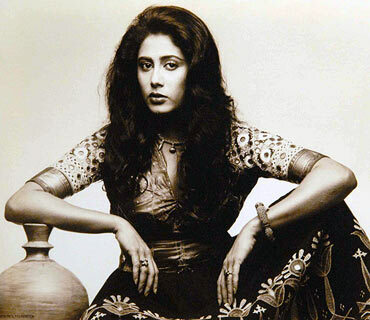 In an enthralling new book Smita Patil, A Brief Incandescence (HarperCollins), Maithili Rao reveals the many fascinating facets of the incomparable actress whom we lost too young. So, what was Smita like as a person? Some words recur with metronomic regularity. Down to earth, warm, sincere, rooted, grounded, compassionate, sensitive, caring, carefree -- myriad adjectives, with their infinite connotations, adding up to a woman with high emotional intelligence. Then there are contrary pairs: possessive and generous, demanding and giving, impulsive and pragmatic, ambitious and unworldly, fun loving and moody. Mohan Agashe says: "I describe her as an illusion. She was not intelligent or intellectual but sensitive. Intense. And there were people all over the world who cared for her. Old John Warrington (the late British film critic, regular at our film festivals) was so smitten. From Warrington to a Polish actor, a Swedish director, they were all in love with her. She was so intense, so charming. One would be scared that she'd go mad when she started laughing." So speaks the psychiatrist, friend from her teen years and costar of many films. Deepak Sawant often worried that Smita took on unnecessary tension upon herself. She would brood over incidents of abused women, stories she heard as part of her work with women's groups. Smita would give financial help to individual cases, but she fretted that she could not do more. "You can only do as much as you can. Can't help or change the whole world," was the advice a pragmatic Deepak offered to the troubled star. Feminism in India was concerned with getting women an equal wage, and protection from domestic violence and police brutality in concrete, countable, ways. This was something close to Smita's heart because her mother and sister Anita -- along with other role model figures -- were active in this field. What Om Puri says is illuminating in more ways than one. "I believe that to be a good actor, if you are a good human being, it enhances your characterisation." Everyone I have spoken with talks of how simple, approachable and non-film star like she was and remained. Remained is the crucial word. Celebrity changes people. But by all accounts, Smita remained immune to the blandishments and insidiously corrupting effect of fame. (Childhood friend) Jhelum (Paranjpye) remarks that Smita learnt to handle fame with casual aplomb. To quote Om Puri again: "On location, she was just like one of us. She had an understanding of love, a lot of sincerity and warmth came through in her performances. She got along with everyone. She was very brash in a positive kind of way." Arun Khopkar says ruminatively: "The stardom didn't weigh heavy on her shoulders. She was very down to earth. Once you became a friend and you kept the trust, there was no change in the relationship. She had become a kind of role model for many women in Maharashtra. Here was a woman with no airs, whom you could directly approach. She was so direct, she had no ... contamination. (After a long thoughtful pause to find the right word.) If you were truthful, she was equally truthful." Caring and instinctively warm -- these are the qualities everyone talks about, be it friends, journalists or, of course, family. Om Puri's testimony ought to pass the sceptic's test: "She was not class conscious, whether with a spot boy or a fellow actor. I have never seen her bullying anybody or being demanding." He goes on to add: "She was very fond of me. She was very concerned that I didn't have a house when Ardh Satya was released. I used to go to her house. She made me meet her mother and told her: 'Maa, you know Vasantrao Patil, please get him a small flat'." "So Maa took me to Vasantdada, to Varsha, the chief minister's official home. When we went there, there was a magazine on the table. It had me on the cover. His staff must have told him and prepared him for the meeting." "Vasantdada asked me: 'How long have you been in Maharashtra?' I said: 'Sir, ten years. He told me that earlier it took ten years but now fifteen to get a flat.' He hinted to Smita's mother that if there could be a domicile certificate, it would have to be fake. I said I don't want to. I was in drama school in Delhi, my address was different. Here I had to prove that I was in Maharashtra. At some point in life something comes up and there will be a scandal. So I said: 'I will wait. I will buy a house when I can afford to.' But Smita was very, very kind and felt bad for me." Smita's generosity to strangers sometimes led to embarrassment. Anita recalls: "When Smi was going to the studio, a stranger accosted her, saying, 'Didi, I am in a lot of trouble, please help me, and so on.' She took out whatever was in her purse and gave it to that man. She realised she had no cash on her when she had to fill petrol. Sometimes, she would come back home and say, 'Maa, I need money. Just gave it to someone who needed it!' We got used to this." Smita donated the cash prize that goes with the National Award to charity. The second-floor apartment in Rock Cliff opposite Bandra's Joggers Park is the home that Smita had hoped to live in but never did. She wanted a sea-facing flat and yearned to enjoy the rain splashing through open windows, remembers Vidyatai. She would come by whenever she had time, to see how the house was coming up. She would have chai from the kettle along with the workers. Smita wanted the first guests in her home to be the workers who built it. Anita's memory is a mix of regret and pride. Yes, the first meal served in the new flat was for the workers, but Smita was not there to serve it personally as she had wished to. People who did not know Smita well found her reticent and shy. If she was in the company of older and more established people in the arts, the bindaas Smita retreated into a quiet observer, absorbing the swirling conversation around her. Chitra Palekar, prominent in experimental theatre, recalls a subdued Smita who was respectful of older people "like a good middle class Maharashtrian girl." Chitra still cannot get over Smita's reaction after the special preview of Bhumika for the cast and crew (Chitra was married to Amol Palekar then). Smita stood aside, crestfallen, shrinking into herself, saying, 'I was so bad in the film.' And then she goes on to win a National Award for the same role! But this is no case of false, put-on modesty, according to Anita. 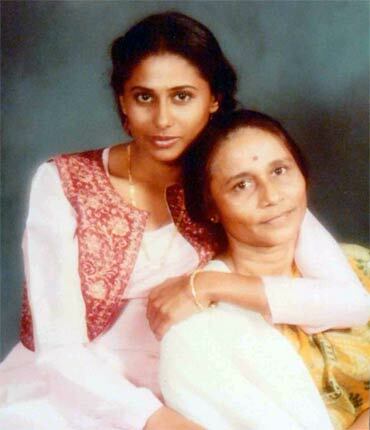 Smita did feel that she did not give a good performance, and her mother's repeated criticism only added to her low self-confidence at this point. Tu Amol cha pudhe pheeki padli (you were insipid compared to Amol) was Vidyatais staunch opinion. 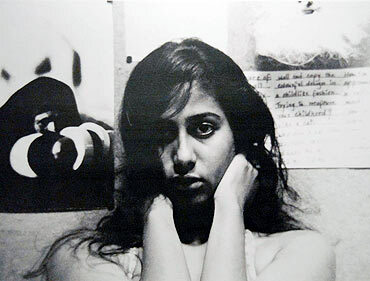 Would Smita have evolved into a director, given her passion for the camera and the originality and insights of her images? Jabbar Patel affirms casually: "Why not? If she could grasp the narrative arc of a story, she could make a film too." (Director) Aruna (Raje) is more forthcoming and her observation is based on facts. Aruna was planning her independent film -- hitherto she had made commercially viable, thematically different, films with (her then husband) Vikas -- with Smita as the protagonist. The film was Rihaee, with its feminist validation of female desire and questioning sexual double standards. It would have been a totally different film with Smita, asserts Aruna who finally made it with Hema Malini after Smita died. Smita had it all planned out. She was pregnant then and planning to leave Raj Babbar after the baby was born. She would not only act in Rihaee, but also assist Aruna in direction. Once the baby was a little older, she would bring it to the sets and be able to work and care for the baby alongside. Her baby was born and raised in the home that Smita dreamed about. But it was Smita's Maa who raised this longed-for child. If Smita was involved with a man, she did not hide it. There was none of this we are just good friends spiel routinely doled out to a persistent press. Whether it was Mandip Kakkar, from (Shyam) Benegal's unit, or Vinod Khanna, it was open, and Smita did not bother with what the world said. She was the original 'bindaas' girl, says Jhelum admiringly. She adds: "When in a relationship, she gave it her all." Om Puri calls her "a Bohemian, very bubbly, full of life. Never saw her low or depressed about anything. Very liberated and progressive in her thoughts and work." Smita was sensitive, but did not really care for what anybody said. The only time she was really hurt by the press was when Vimla Patil, the editor of Femina, wrote a moralising open letter to Smita on her involvement with a married Raj Babbar. Anita remembers how raw and lacerated Smita felt after this public castigation by a senior woman journalist. She also had a quick temper and sometimes acted impulsively without calculating the consequences. Smita gave an interview to Deepa Gahlot for Filmfare about her earlier involvement with Vinod Khanna. She had second thoughts and wanted Deepa not to carry it. By then, it was too late. Smita was incensed and asked Pritish Nandy, Filmfare editor, to sack Deepa. Of course, Pritish being the pugnacious Nandy, retaliated brutally with an interview with Nadira Babbar who was nothing short of vicious. Smita still did not know how to play media games or know that it would boomerang on her. This was sometime in 1985-86. The grief-and-guilt-stricken mother went on to say: "She was too honest and very simple. At twenty-eight, twenty-nine, it's too late to wait to have a child, to meet a man and get married." Subhash Awchat narrates another eerie story of her intuitive powers with relish. The two had gone to Taj Hotel and they passed by a foreigner, French perhaps, in the lobby. Smita paused and looked at the man. 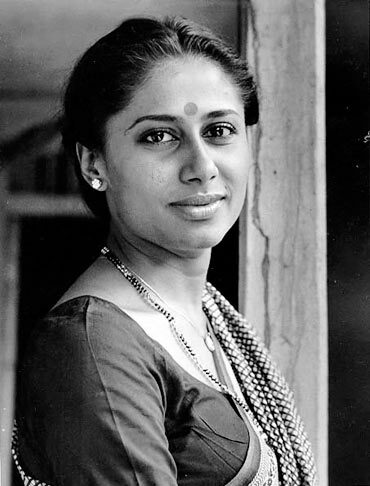 Excerpted from Smita Patil, A Brief Incandescence, by Maithili Rao, HarperCollins, Rs 450, with the publisher's kind permission. You can buy a copy of the book here. Meet the Shashi Kapoor no one knows!